Youth from 4-H programs in Yuba and Sutter counties participated in the recently-completed Mitigating Zoonotic and Animal Disease (MZAD) Project by the University of California Division of Agriculture and Natural Resources (UC ANR). As part of this project, they tested bio-security risk assessment and mitigation procedures, and helped formulate changes to decrease the potential of pathogen transmission at their county fair. 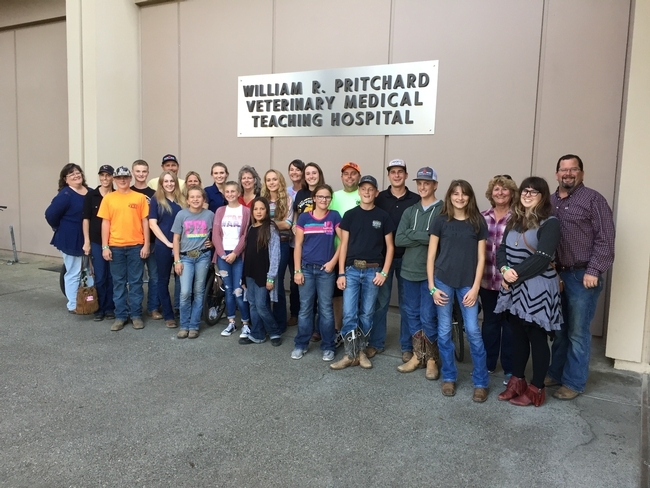 On November 1, 2017, 12 4-H youth, their parents, and 4-H Program Representative, Tracy Bishop, came to UC Davis to tour its Veterinary Medicine Teaching Hospital. The tour was presented as a thank you to the youth for not only participating in the project, but to acknowledge their efforts in making on-farm and at-fair practices. The tour began by viewing the surgery recovery barn for large animals and continued by viewing the MRI and CT scanning rooms. In the Small Animal Clinic, youth viewed dog bone x-rays and the pantry where dietitians make special meals based on an animal's recovery, dietary, and food allergy needs. The tour also included an emphasis on veterinary research that occurs in the hospital. “UC Davis prides itself in the research done throughout the campus. Would any of you be interested in doing research in the future?” the guide asked. The tour guide didn't know that these youth had already been involved in research through their involvement in the MZAD Project! 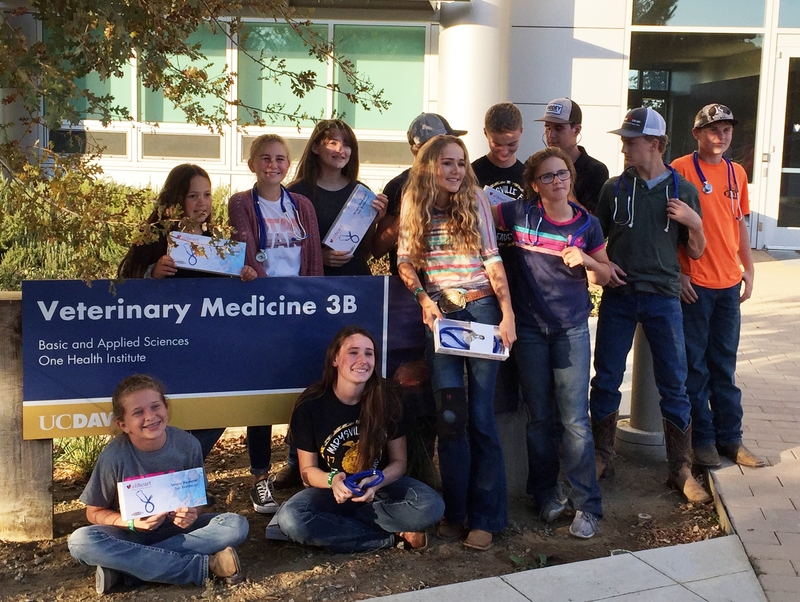 Through their involvement, these youth tested bio-security practices that focused on keeping animals and people healthy. The guide concluded the tour by admiring the youth's achievements, adding that she hoped some of them will continue their studies at UC Davis in the future. In collaboration with the California Department of Food and Agriculture, UC Davis developed three informational videos that summarize bio-security risks and recommendations to improve practices. All three videos feature 4-H'ers and their animals. If you would like to feature these videos on your organizations' website, please contact Martin Smith (mhsmith@ucdavis.edu) for more information. Focusing on bio-security risk assessment and mitigation strategies, and recommendations for implementing these procedures on farm and at fair. A highly visible Public Service Announcement highlighting hygiene and other risk mitigating practices that will help educate visitors at fairs throughout California. Focusing on recommendations for bio-security procedures and policies that will support risk mitigation at California fairs and exhibitions.